Local Community participates in Painting event. Princeton – (10/24/18) – Earlier this month, Enable held its Painting for a Purpose fundraiser to help raise friends and funds for the nonprofit organization dedicated to providing programs, supports and services to individuals with disabilities. The event was held at Cranbury Station Gallery in Princeton. 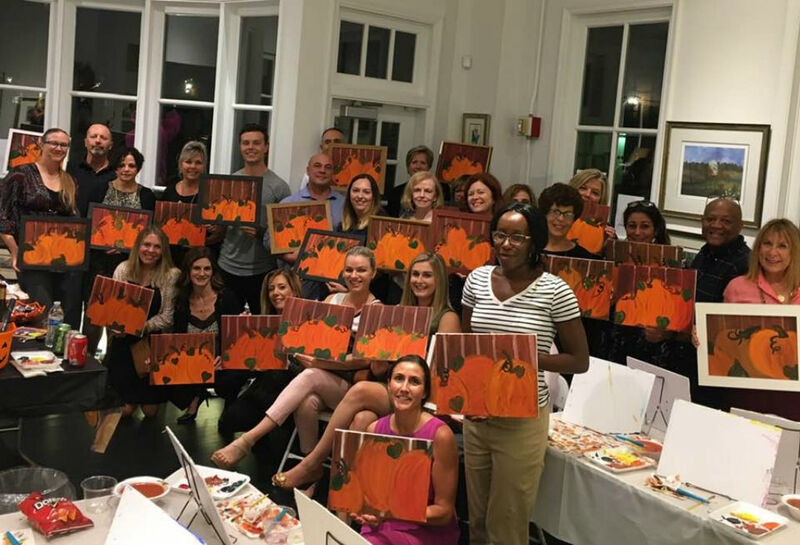 Led by art instructor Kathie Maguire Morolda, guests enjoyed her skilled instruction as they painted seasonal “Pumpkin Trio” pictures. Enable CEO, Lisa Coscia expressed her appreciation to the guests for their support of Enable and the people they serve. “It means the world to us to have the support of the community. Not only are we raising funds so we can continue our critical mission of making it possible for individuals with disabilities to live full and independent lives, we are making new friends and raising awareness,” said Coscia. Event sponsors included Brown & Brown Insurance, Beneficial Insurance Services and TriBen Insurance Solutions. For the past 30 years, Enable has been providing services to adults and children with disabilities, as well as seniors who need assistance in managing daily living activities. The organization counts among its programs residential, day and in-home support services. To learn more about Enable, visit www.enablenj.org or call (609) 987-5003. You can also follow Enable on Facebook, Twitter and LinkedIn.